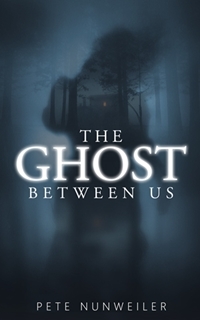 The Ghost Between Us is where paranormal romance meets suspense thriller. It will grab you from the very first page and won’t let go until the last. Toby and Anna Miller were a perfect couple. Romantic, passionate and truly best friends. When he loses her after a car accident, he takes a leave of absence from work to carry out his promise to Anna and moves to the "Forever House" in the mountains of Tennessee. It's their dream come true carried out by one. Soon after he settles in, he hears strange noises in the house but brushes them off until his realtor, Alex, shares a dark secret with him and he learns of her heartbreaking connection to the house. Over time, Toby and Alex become closer. As a paranormal enthusiast, Toby no longer dismisses the strange noises and tries to connect with the entity in the house. His research begins with simple closed-ended questions and progresses to full conversations through EVPs and a Spirit Box. Toby's increasing obsession with the paranormal builds an obsession with the ghost, sparking a forbidden love triangle. Will the entity keep Toby and Alex apart? 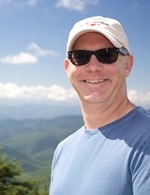 Pete Nunweiler is an emerging multi-genre author whose talent includes motivational self-help, a memoir and fiction. He has the keen ability to capture emotion in his writing through relatable characters and experiences. Pete is originally from the village of Springville, NY, then Lititz, PA and currently resides in Indianapolis. He is married to his wife, Kris who is the co-author of How Much Water Do We Have: 5 Success Principles to Conquer any Challenge and Thrive in Times of Change.